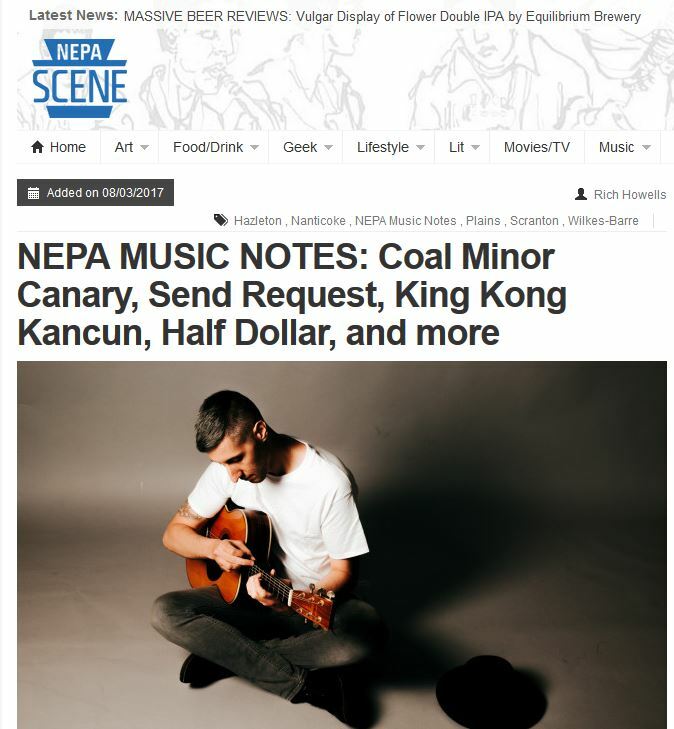 In this week’s NEPA Scene music notes, Coal Minor Canary’s 3:42 EP release was announced. The EP release party will take place at The Keys on August 11th at The Keys in Scranton on Friday, Aug. 11 at 9 p.m.Coal Minor Cananry will be joined by cellist Dan King (of Permanence, A Fire With Friends) bassist DJ Laury (formerly of Astorian Stigmata) and Dennis Condusta Condusta (formerly of Astorian Stigmata). Condusta and Markus A. D. will open the show. NEPA Scene is the independent arts and entertainment website Northeastern Pennsylvania has been waiting for. It combines the accuracy and professionalism of a print magazine with the immediacy and convenience of a blog, offering a wide variety of content to readers in NEPA, Philadelphia, New York, and beyond.